It’s gorgeous outside and I have to do some work in the garden area so I’m not going to be watching Swan Lake today. But if you’re getting rain where you are and you’re looking for a way to kill the afternoon without spending a small fortune on the IMAX version of Godzilla, consider Swan Lake. As you probably know by now, I cut my teeth on NYCB Balanchine ballets because during my formative years, I lived about 5 miles from Saratoga and spent all my babysitting money on cut rate Saturday matinee tickets. That ruined me for story ballets. And when it comes to Swan Lake, I’ve been permanently tainted by the Ballet Trocadero de Monte Carlo. Whenever I see a ballerina in that feather headdress thingy, I immediately see how ridiculous the whole ballet is and I can’t suspend my disbelief long enough to enjoy it. But I did have some insomnia recently and stayed up to watch a few youtube versions. So, here’s some quick reviews in case you want to check them out. Let’s start with the Kirov. The Russians have this thing down. Swan Lake is in the Russian bloodstream. Petipa’s choreography suits the Vaganova technique. It’s lush and dramatic. The folk dances are performed very authentically. (However, I think it was one of the Russian versions that featured a very heavy footed, duck walk transition of the corps de ballet.) If you are into a full on, serious, melodramatic Swan Lake, go no further than the either the Kirov (Mariinsky) or the Bolshoi. Paris Opera Ballet. The biggest tragedy of this version is that the choreography was restaged by Rudolf Nuryev. The stage looks crowded, the opening dances disorganized. It’s too much much. The eye doesn’t know where to look. However, Nuryev gave male dancers something to do in this ballet apart from serving as human barres for ballerinas. For example, he inserted a variation for Rothbart, the evil sorcerer, just before the coda of the black swan pas de deux. It makes perfect sense here, showcasing the dancer and giving the principals some breathing time before the exhausting coda with its countless fouttes. The bad thing is that the tempo of the black swan coda is slowed down so much that the music has a German beer hall oom-pa-pa sound. So not flattering, not to mention the makeup on Odette/Odile makes her look either dead or seriously cyanotic. But if you’re into the guys, check this one out. The Royal Ballet. The Royal has a light touch. The movements are delicate, unshowy and subtle. Almost too subtle. Marianela Nunez and her husband Thiago Soares dance the leads but, weirdly, there’s no chemistry between them. It’s like the Brits looked at the Russian melodrama and said, “we’ll have none of that”. They did retain the pantomime though, which helps new users understand the story. Then there are the costume alterations for the swans in the corps de ballet. It’s as if the designer took the Willi costume from Giselle and made it sexier. The push up bodice looks like it was designed by Victoria Secret while the skirt is longer, wispier and more swan shaped. The headdresses for the corps look like white chocolate Magic Shell was drizzled over the hair in a back and forth motion. 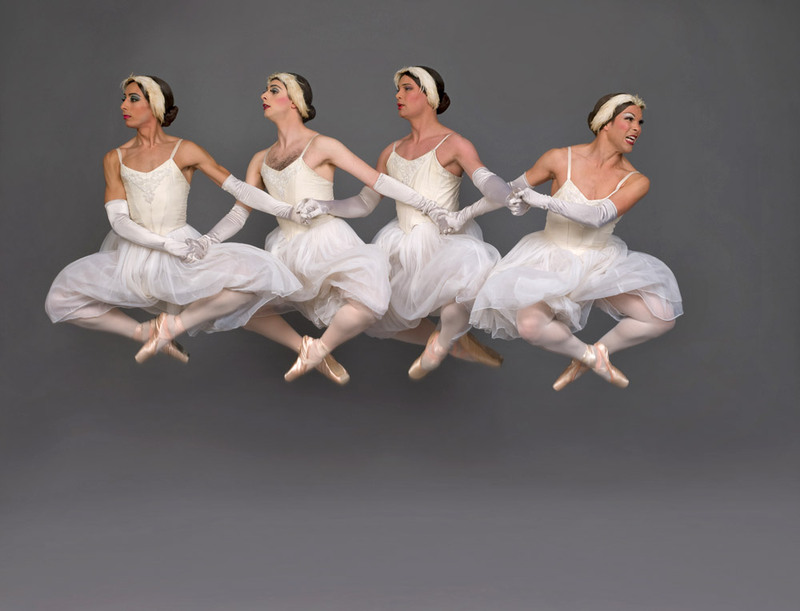 Um, ok. I’ve now replaced my Trocadero ballet image with one that’s slightly more swan-esque. I guess that’s progress. Teatro alla Scala de Milan. This one was my favorite. It’s hard to watch a serious ballet for two serious hours. The Italians must have thought so too so there’s some humor and playfulness in this version, especially in the opening act. The principals, Robert Bolle and Svetlana Zakharova are superb. The tempo of the music is faster than the other versions I watched, making the folk dances livelier and giving the cygnet pas de quatre more precision. The choreography of the black swan pas de deux is different from the Petipa version. In this staging, they have chosen to use the music from the Tchaikovsky Pas de Deux, which was originally written for Swan Lake but was dropped from the final ballet, probably because one more pas de deux might have killed the principals. But in this version, it fits beautifully. It’s not as dramatic as the original black swan pas de deux and if you’re waiting for the 32 fouettes, they’re done to a completely different piece of music. This version is more playful. Odile is still up to no good but she’s more approachable. Less femme fatale, more spitfire. If you’re looking for traditional, skip this one. But if you want to see dancers kicking up their heels and having a good time dancing the hell out of the music, check it out. Finally, we can’t end without a clip or two from the ballet version that ruined it for me, the Ballet Trocadero de Monte Carlo. Here is the quartet of cygnets. It still makes me laugh.